With its Victorian architecture and open-minded nature, San Francisco has a look and feel that’s different from any other city in the country, or even the world. Since its inception, thousands of people with pioneering spirits have packed up and moved west to this city on the bay, drawn by many things: beautiful landscapes, healthy living, cultural acceptance, an abundance of tech jobs. Tourists come in droves for many of the same reasons, and leave wowed by the vistas afforded by the city’s many peaks, the incredible food, the laidback style and the surrounding vineyards, mountains, beaches and more. 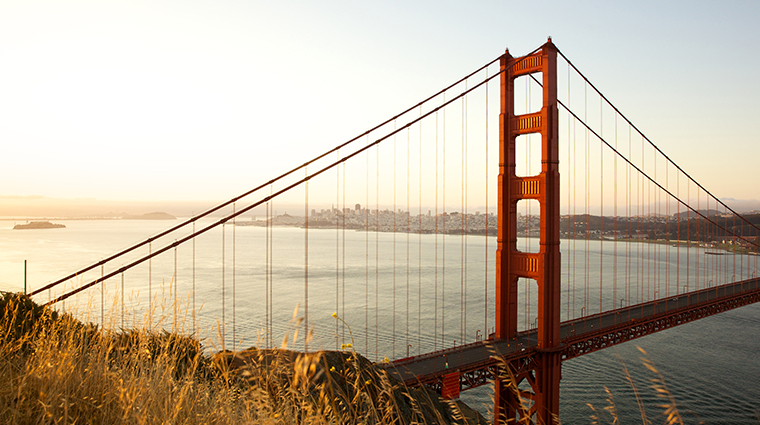 There’s no shortage of classic sights in this scenic city: From the Golden Gate Bridge to the Coit Tower and Lombard Street to cable cars, San Francisco is filled with distinctive elements wholly unique to the City by the Bay. But dig a little deeper, and you’ll find the spots that locals love, from the Beat Museum (with its quirky rundown of the counter-cultural revolution) to the Cartoon Art Museum (no need for an introduction there), and from Chinatown’s best dim sum spots to the colorful Chicano art murals in the Mission District. Of course, California cuisine was born in the Bay Area. Helmed by chefs like Alice Waters, a culinary revolution took place there in the 1970s. The mantra: locally grown, seasonal ingredients. These ideas are mainstream nowadays, but there is no better place to appreciate them than in the place where they first emerged. Seafood plucked from Pacific waters, produce grown in nearby valleys and rich, creamy just-made cheeses and butters are just a few of the treats you’ll find on the menu in San Francisco. With a slew of talented chefs and an abundance of authentic ethnic eateries, the city is a serious destination for food.